This train station was designed by Architect Norman P. Randlett and built in 1940 (its 1893 predecessor burned in 1939). A very plain and unadorned building, built in the post-WWII modernistic style, it was replaced in 1987. Its best feature was its curving, overhanging roof, which gave it an art-deco touch. The stairs on the right side of the building, visible in the color photo, were added later. 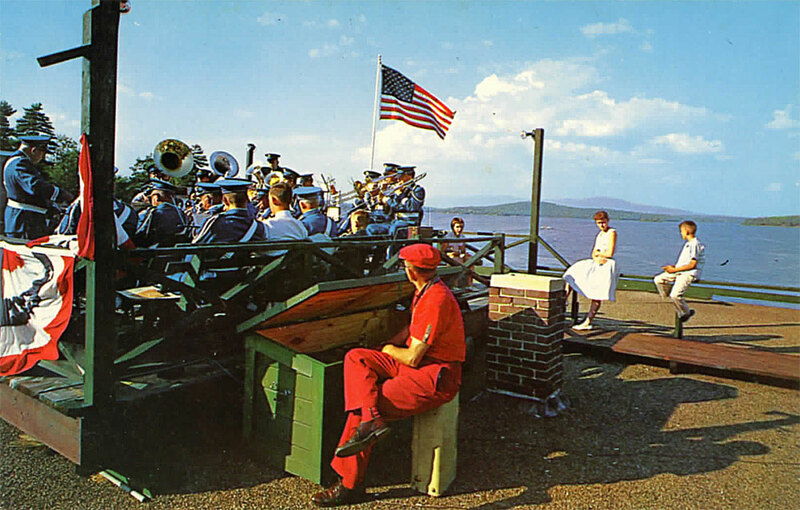 They led up to a stage on the flat roof of the building where band concerts were held. 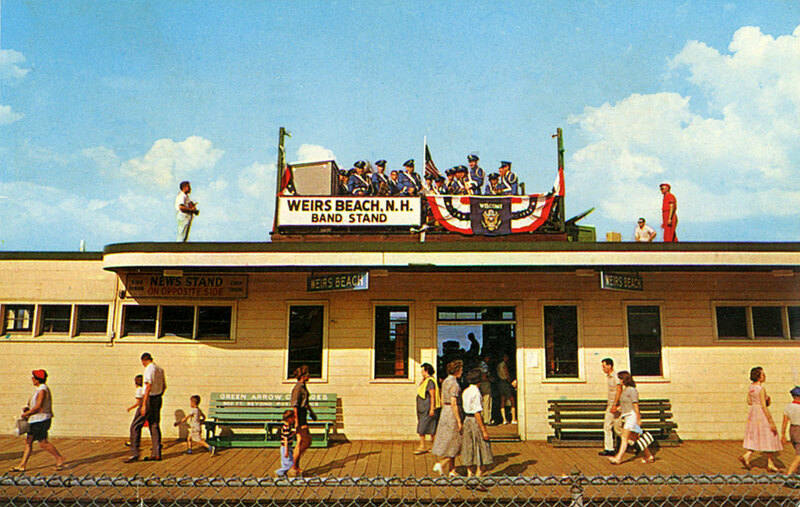 From this prominent position bands could be heard all over Weirs Beach, although this arrangement left much to be desired in terms of the musicians being seen and interacting with their audience. 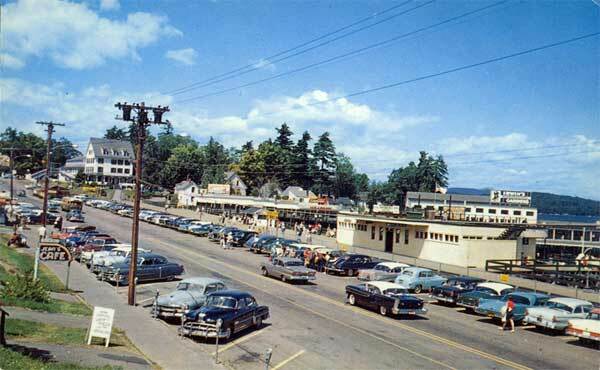 The photo below shows the fourth station and bandstand. 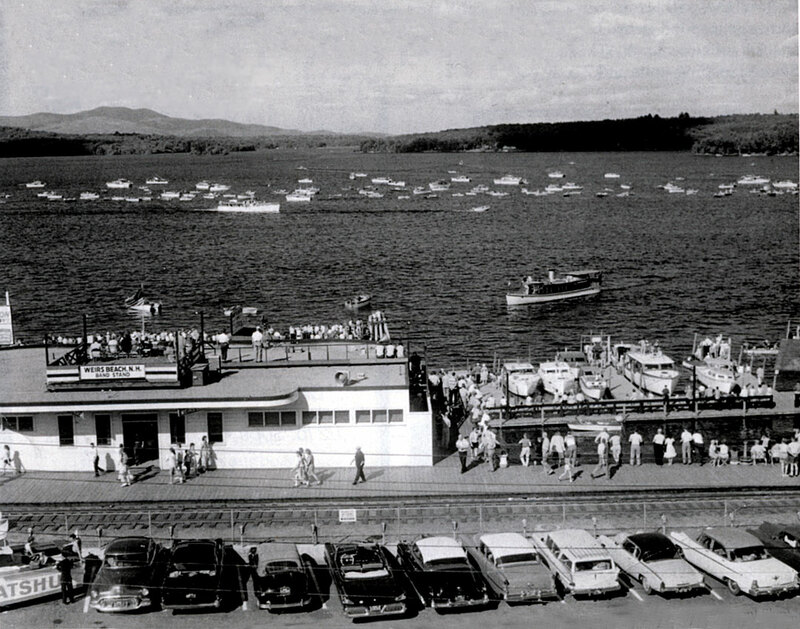 At this late 1950’s boat festival, the Uncle Sam approaches the docks from the right, while the Sophie C. approaches from the left. 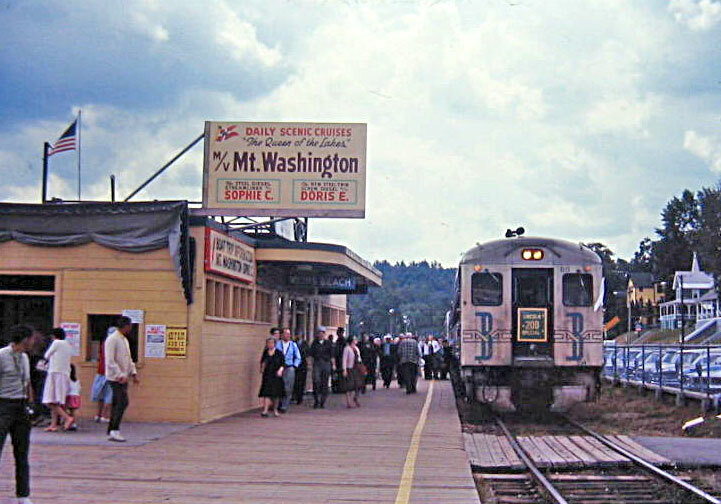 A B&M train arrives at the Weirs Beach station on August 15, 1964. The train was marked as the “Lincoln 200 Special”. The Winnipesaukee Scenic Railroad continues to run special trains to Lincoln from Weirs Beach during the fall foliage season.